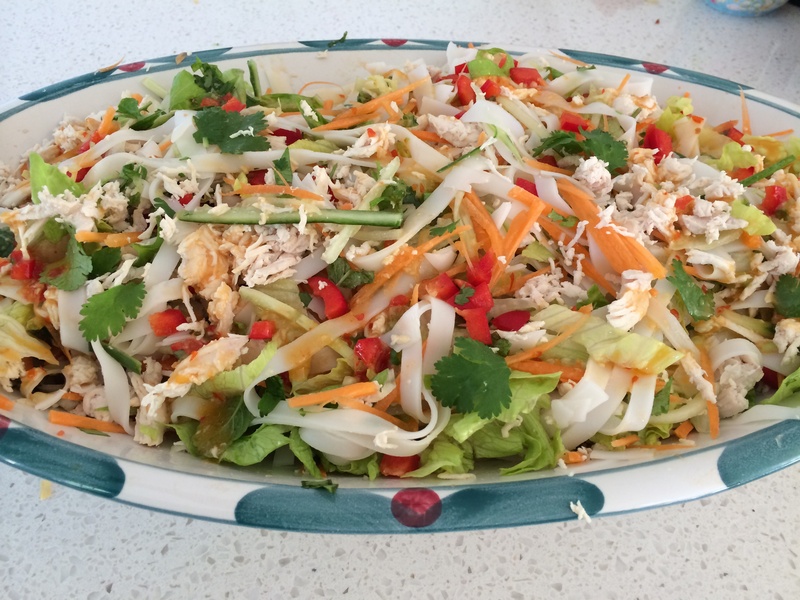 This recipe for Vietnamese chicken salad from the recipe community is absolutely divine! The fresh lime, teamed with the crunch of the nuts, the cooling mint and cucumber against the salty spicy chilli sauce. Love love love this recipe. Again another great use of shredded chicken. Loaded up the Varoma dish and tray with 1 kg of chicken breast to be used for sandwiches/ lunches during the week. And miss 14 and miss 8 gave it a big thumbs up. Ticks all boxes and can be made ahead.